Spanish type and design historian Raquel Pelta invited me to contribute to this book, compiled to accompany an exhibition about Catalonian graphic designer Enric Crous-Vidal in the Jaume Morera art musuem in Lleida (Spanish: Lérida) in 2009. 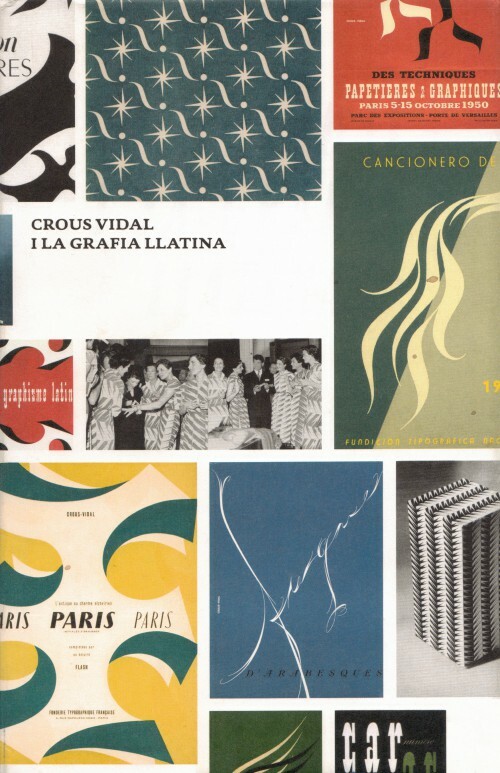 Crous-Vidal spent much of his professional life in Paris and became part of that imaginative tendency in typographic design which French typography pope Maximilien Vox (he of the Vox/ATypI classification) labelled Graphie Latine. In her essay, Raquel focused on Crous-Vidal’s life and work; Sébastien Morlighem contributed an article about post-war developments in Fance; Andreu Balius wrote about the technical aspects of Crous-Vidal’s typefaces. I was asked to provide a sketch of the Europe context of the post-1945 period.